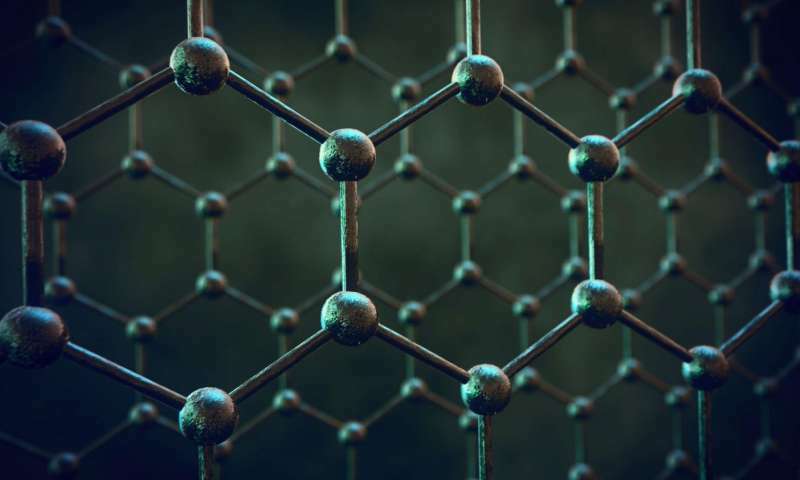 "Our design is based on graphene sheets, which are two-dimensional crystals of carbon just one atom thick," said research team member Bing-Gang Xiao, from China Jiliang University. "The sensor is not only highly sensitive but can also be easily adjusted to detect different substances." The excellent optical and electronic properties of graphene make it attractive for sensors that use electromagnetic waves known as plasmons that propagate along the surface of a conducting material in response to light exposure. A substance can be detected by measuring how the refractive index of the sensor changes when a substance of interest is close to the graphene's surface. Researchers have taken advantage of graphene's unique properties to create sensors and materials for a range of applications in recent years. Compared to metals like gold and silver, graphene exhibits stronger plasmon waves with longer propagation distances. In addition, the wavelength at which graphene is responsive can be changed by applying a polarization voltage instead of recreating the whole device. However, few previous research efforts have demonstrated sensitive graphene sensors that work with the infrared wavelengths necessary to detect bacteria and biomolecules. For the new sensor, the researchers used theoretical calculations and simulations to design an array of nanoscale graphene disks that each contain an off-center hole. The sensor includes ion-gel and silicon layers that can be used to apply a voltage to tune the graphene's properties for detection of various substances. "We also want to explore whether the graphene plasmon hybridization effect could be used to aid the design of dual-band mid-infrared optical communication devices," said Xiao.